Nixon: Id rather use a nuclear bomb. Have you got that ready? Kissinger: Now that, I think, would just be, uh, too much, uh - Nixon: A nuclear bomb, does that bother you? [Kissinger response virtually inaudible]Nixon: I just want you to think big, Henry, for Christs sake!A Vietnam War Reader, edited by Michael Hunt, is a unique collection of shocking lived experiences, directly from the mouths and the pens of those soldiers, politicians and citizens who lived through the days of the Vietnam War and its bloody aftermath. 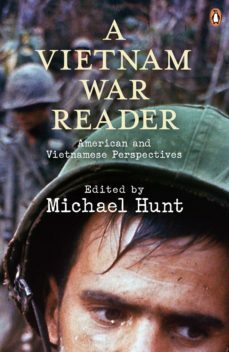 Including testimony from both American and Vietnamese sources, the Reader contains such diverse documents as Ho Chi Minhs report to the Communist Party, a secret memo from the CIA on the Vietcong and a 1966 letter from a junior officer to his family, describing his growing doubts about the war. Transcripts show the casual conversations and public press conferences that would lead to millions of deaths, revealing the terrible dilemmas faced by those in power, and on the ground. Pham Van Dong: If the United States dares to start a limited war, we will fight it, and will win it. Mao Zedong: Yes, you can win it.